ABC has ordered to comedy pilots, Nana and an untitled Pastors comedy, per Deadline. Nana, a multi-cam hybrid comedy starring Katey Sagal (Superior Donuts, Sons of Anarchy) hails from Lon Zimmet (LA to Vegas, The Michael J. Fox Show, Unbreakable Kimmy Schmidt), Ted Melfi (Hidden Figures) and Kimberly Quinn's Goldenlight Films, Alcon Entertainment, 20th Century Fox TV and ABC Studios. Zimmet will pen the pilot. Nana centers on an obsessive, overprotective dad, who after the death of his wife, is forced to invite his brash and bawdy mother-in-law – Nana (Sagal) – into his home to help raise the two granddaughters she barely knows. 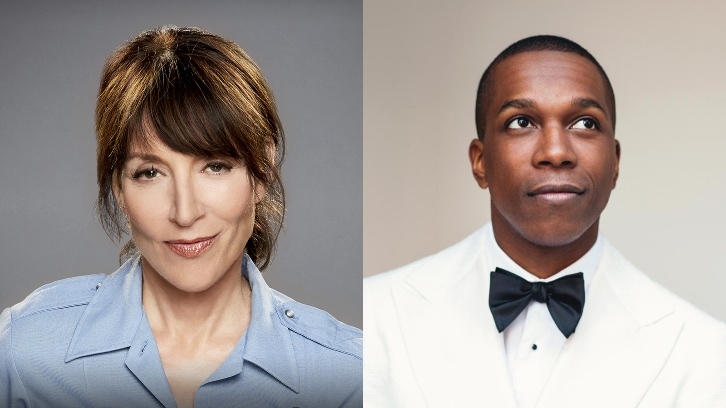 The untitled multi-camera, family pastors comedy starring Leslie Odom Jr. (Hamilton, Murder on the Orient Express) hails from Leslie Odom Jr. (One Dollar, Smash), Kerry Washington (Scandal), Saladin K. Patterson (The Last O.G., The Big Bang Theory, Psych) and ABC Studios. Patterson will pen the pilot. The untitled pastors project is inspired by real-life progressive pastors Touré & Sarah Roberts. The comedy revolves around Omari (Odom Jr.) & Hope who together run a modern ministry and share an even more eclectic and chaotic home life with a combined four children.